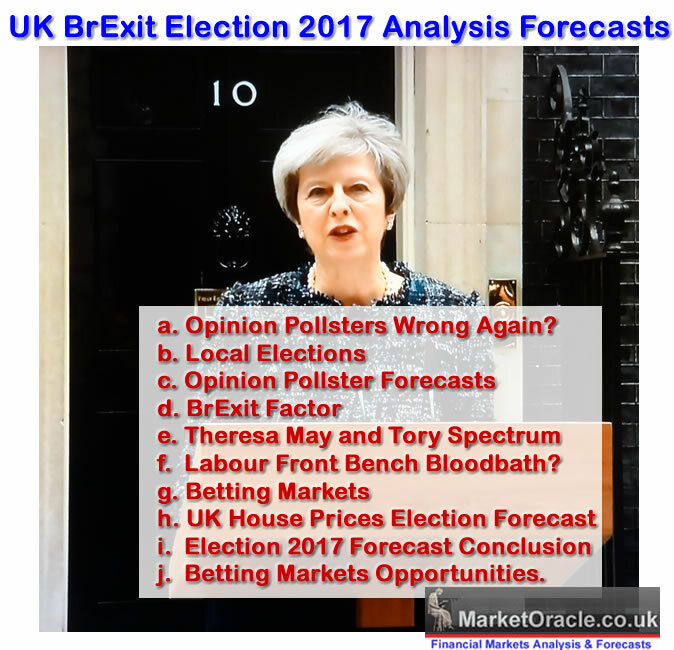 It appears YouGov has decided to corner the UK election shock polls market by virtue of starting to publicise shock polls on a near daily basis that are successfully sending the mainstream media into a feeding frenzy as the seats forecasts are resulting in perceived tightening of the election race. So the mainstream media has been busy these past few days reporting on YouGov's headline grabbing shock poll of the Tories losing 20 seats on their current standing by falling to 310, whilst Labour adding about 30 rising to 257 seats resulting in a Hung Parliament. Implying a nightmare election scenario of a weak Labour government controlled by the SNP that like vampires would seek to bleed the United Kingdom dry of its financial blood which has already had an immediate effect on the markets by sending sterling temporarily lower with the real world impact as holiday markers now get less foreign currency for their sterling. 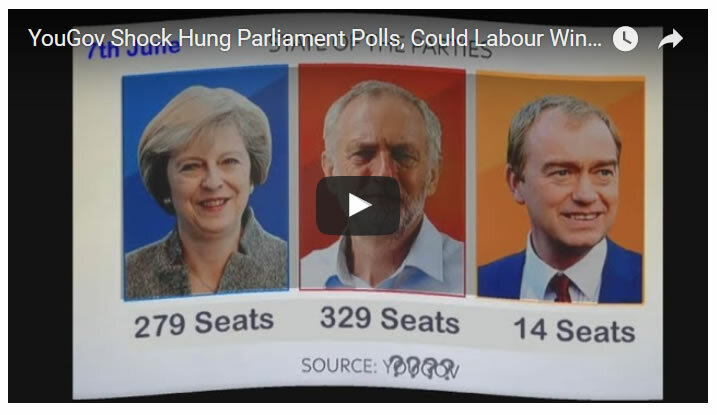 Watch my latest video to see what these polls mean for the outcome of the UK General Election.